Supreme Court Justice Antonin Scalia was one of three dissenters in Thursday's Supreme Court ruling regarding Obamacare, and suffice to say, angry doesn't even begin to cover Scalia's dissent about the Court's decision to uphold crucial subsidy portions of the Affordable Care Act. However, lengthly documents full of legalese and detailed critical reiterations of other lengthy documents full of legalese tend to be incredibly tedious. In a word: they are unpleasant, and make for thoroughly boring reading, especially if you are disinclined to agree with the subject matter of the document (ahem). Scalia's dissent easily could have been perused only by the most die-hard SCOTUS nerds, the President (or more likely the President's assistant who would then brief him), and perhaps Ruth Bader-Ginsberg, who would read it with a smile and a glass of wine at the end of the day. Instead, Scalia's dissent statement is being pored over by the general public, thanks to his use of colorful and strange language that is peppered throughout his remarks. While I learned virtually nothing new about the Affordable Care Act and its alleged illegality, I think all of us who have read Scalia's dissent can boast some rather clever new vocabulary words. Here are the best new words and phrases handed down in Scalia's dissent. I think we should all make an effort to include at least the first one in our everyday conversations. This is the best one is my personal favorite. It actually means to be deceitful or be dishonest, but I want to use it a million different ways. "Quit jiggery-pokering me around!" if someone is giving you a hard time. Or maybe even, "I'd like to jiggery-poke that guy" when you find someone attractive. The possibilities are endless. Endless, I say! Yeah! That'll shut 'em up! Tell it how it is, Scalia. I just love that this is its own sentence. I mean, it's not exactly a terrible idea. Bets on how long it will take for this one to enter the Oxford English Dictionary? It's unclear if impossible impossibility refers to anything other than an opinion on Obamacare. Er, SCOTUScare. At first I thought this one was a typo, but that's because so many of us have adopted the eggcorn "hone in" in favor of "home in," which is apparently the correct terminology. Thank you for the reminder, Scalia. 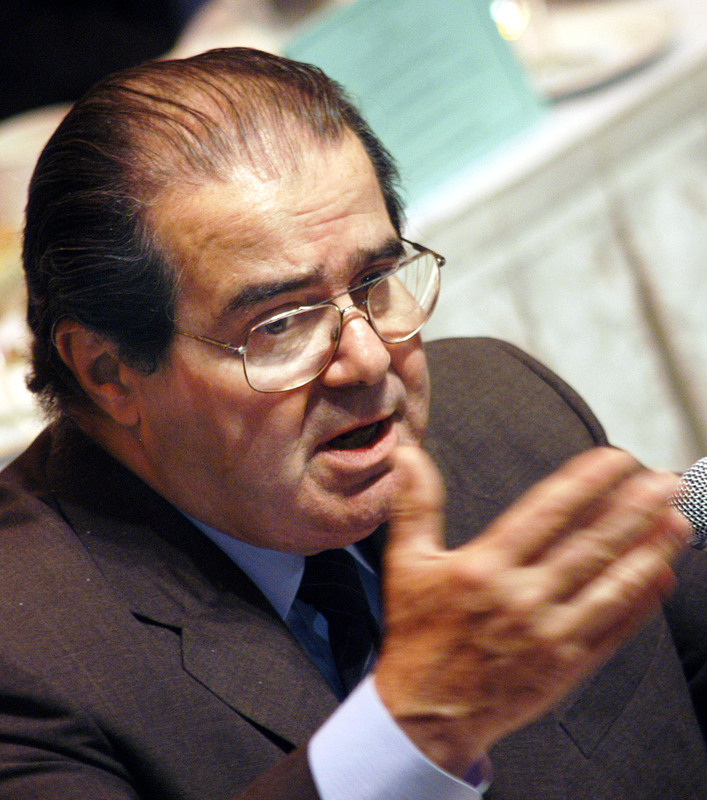 "That Scalia dissent was pure applesauce. The impossible possibility of such jiggery-pokery really has me homing in on the real benefits of SCOTUScare."